LVT-2 amtrac "Water Buffalo" carrying Marines of 25th Regiment, 4th Marine Division (commanded by Colonel Merton J. Batchelder) approaches White Beach 2 on "Jig"-Day. It landed its Marines, including a SCR-300 radio operator and a bazooka team, against the beach cliffs. Note sandbags for additional protection up front. Unlike the beach at White 1, which had deteriorated mines and outnumbered defenders, White 2 was ringed with hundreds of Japanese horned naval mines meant for ships and had blockhouses with antitank guns, machine guns and riflemen. The pre-invasion bombardment failed to destroy the mines or the beach defenders. Three LVTs and a jeep struck mines during J-Day and were completely obliterated. Some mines were attached to beer bottles, watches or souveneirs. The White Beaches could only support sixteen amtracs landing at the same time, and only if the LVTs also used the flanking cliffs on either side. Ramps were built out of scrap from a sugar mill on Saipan and carried by the first LVTS to land. The others used these ramps to scale the cliffs. The LVTs themselves were used as well. Lieutenant Colonel James Paul, the Executive Officer of the 25th's 3rd Battalion, later said, "Usually two Marines stood at the bow of each LVT and assisted their comrades up to where they could secure a handhold on the jagged coral rim. Although this method was slow, it did relieve the congestion on the beach proper and permitted the assault units to advance rapidly inland, thus taking full advantage of the surprise gained." 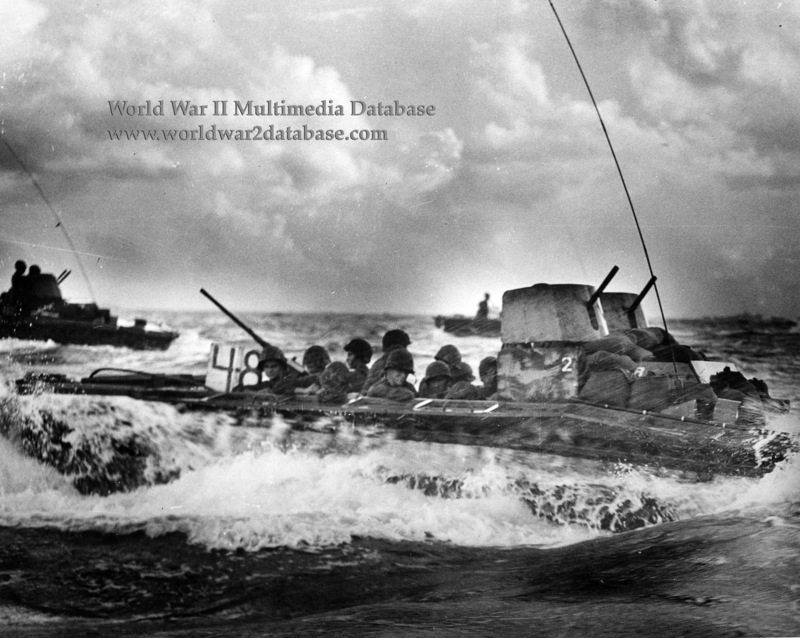 By 0820 Hours two assault battalions were landed and moved inland rapidly. Sporadic artillery fire continued throughout J-Day.